Happy Tuesday, everyone! It’s time for another Top Ten Tuesday post! Today’s topic is books with red, white and blue covers in honour of the Fourth of July! I’m wishing all my American bookworms a Happy Fourth of July! However, I’m going to switch it up and talk about books with red and white covers in honour of Canada Day. Canada Day was July 1st and we had a nice long weekend with perfectly HOT weather! I was at my cottage (with no air conditioning) and spent most of my weekend in the lake trying to cool off! Oh, and reading of course! I hope all my lovely Canadian bookworms had a wonderful weekend. So this week I decided to mention five books with red covers/features and five books with white covers/features – which are the two colours on the Canadian flag! That’s it for this week’s top ten! Tell me down below if any of these books are a favourite of yours! Previous PostBacklist Blast #9 – A Torch Against the Night! Great list with some books that I’ve been really wanting to read ☺️ I only descovered Warcross today from another list but it looks pretty good. What was it like to read? It was a great read! Different from anything else I’ve read before, but I enjoyed it. I plan on re-reading it and reviewing it on my blog. I also just received an ARC of wildcard so I’m curious to see how things continue! You’ve picked so many great books! Happy (late) Canada Day! These covers are so great. That collector’s edition 😍😍😍 !!!!! Right? Isn’t it just gorgeous!? Great choices dear!! Warcross is my favorite, and my least favorite is Everything Everything, it’s not a favorite at all!! Thank you! Warcross was great – I need to re-read it and review. Everything, Everything was enjoyable to me but the ending was so disappointing! I found it share too many similarities with the movie Bubble Boy, that’s why I think the book is unoriginal? Idk maybe this is only my unpopular opinion! Ah, that could definitely be true. I’ve never seen the movie so I’m not sure. But I’m sure others would agree! I can’t wait for you watch it!! I’ll have to give it a try for sure! Happy Canada Day! Great choices for your Red and White books. Happy belated Canada day! Love the cover for Ace of Shades- it’s so pretty! Thank you so much! And yes, it’s really pretty! I actually just read it over the weekend – I’ll have a review up soon! Ohh.. I forgot Warcross! Great choices. Happy late Canada Day!! I love all the white picks especially! Warcross, Everything Everything, Love and Luck… all very nice. Great choices! The cover for the Red Queen Collector’s Edition is beautiful. It’d tempt me to try the series. It is really pretty! Although the Red Queen series has its faults, I’ve enjoyed it overall. Definitely not the best series ever, but a decent fantasy series for sure. I loved Ace of Shades and The Cruel Prince! Ah, all the red books are so pretty! Quite a few of these are on my TBR, especially Ace of Shades. I just really love the cover for it! Yeah, it’s a very different kind of cover. But it does grow on you! Nice post for this week’s TTT topic! Awesome choices – we have a few in common this week! I love the cover of ACOMAF! We do!! Ugh, I know, it’s beautiful haha! I haven’t read it yet, but I really like the Ace of Shades cover. Great picks! I just finished it over the weekend – I’ll have a review up soon 🙂 Thank you so much! So many gorgeous covers here. Simon and Dorothy Must Die made my post this week too. Thank you! That’s great – I love it when books crossover on different people’s posts! Oooh, I just read Ace of Shades and really enjoyed it! It was definitely enjoyable – I just finished it over the weekend! And ugh, omg, I’m late to the game because I’ve only read Ember, but it is fantastic!!! Aw, I love when that happens haha! And thank you so much! Great list! Simon is somewhere in my TTT post, too. I love that book. It’s such a great book!! 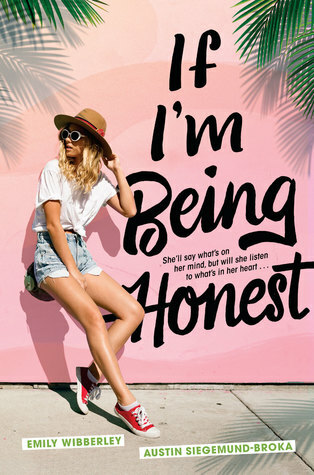 Ooooooo, I didn’t know Jenna Evans Welch has another book! I really liked Love and Gelato, I’m going to have to find Love & Luck (my poor TBR). I loved An Ember in the Ashes, I really need to carry on with the series. Thank you! Yes, I enjoyed it! Love and Gelato was better for me, in my opinion. But it was still an enjoyable read. And yes, Ember was SO GOOD! This is such an amazing list!! The only ones I’ve read on here are ACOTAR and Red Queen, but pretty much this entire thing is on my tbr. Happy Canada day!! Thank you so much! That’s awesome 🙂 I hope you get to them soon! Great list, so many amazing books! (ACOTAR, Simon, The Cruel Prince, Warcross, An Ember in the Ashes… ) Would love to visit Canada some day. Thank you so much, I appreciate the compliment! That’s fantastic, I hope you do get to visit one day! OMG that edition of Red Queen is GORGEOUS! <3 I like how you focused on Canada Day instead–deserves more recognition! Isn’t it? Definitely something I’ll need to get at some point to add to my shelf! Thanks, I totally agree!!! SUCH GREAT PICKS!!! ACOTAR, Red Queen, Everything Everything….such great books. I’m excited to read The Cruel Prince. Hopefully I can soon <3 Great list! Thank you so much!! I hope so too! I enjoyed it overall but it was also a conflicting read for me lol! But I will be reading The Wicked King when it comes out next year! Happy belated canada day. There are all so pretty. Great list, and happy belated Canada day!